A: I like to find new ways of exploring the web and making things visible online. Trying to rethink how we navigate through content is also a huge part of my work. 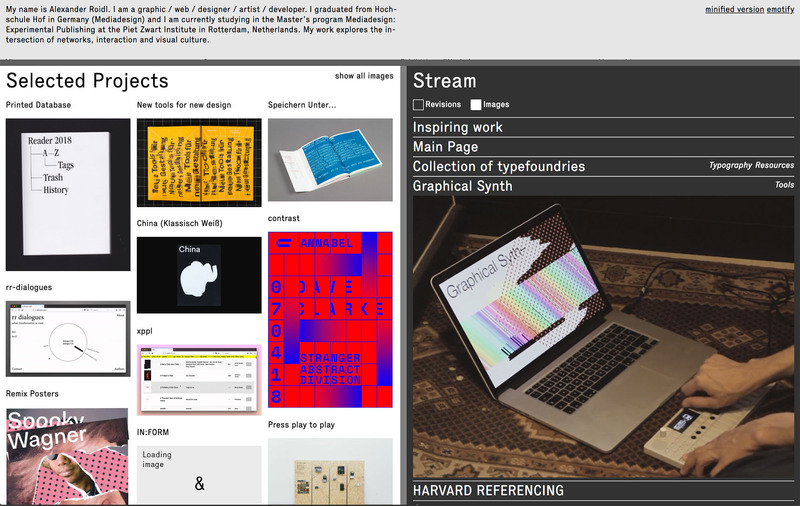 So in my interpretation »brutalist« means not ignoring certain standards in webdesign but re-interpreting them. It is a very »trendy« approach but I think really refreshing and quite playful. A: I coded it. With the help of the internet and a wonderful set of plugins, fonts and friends.